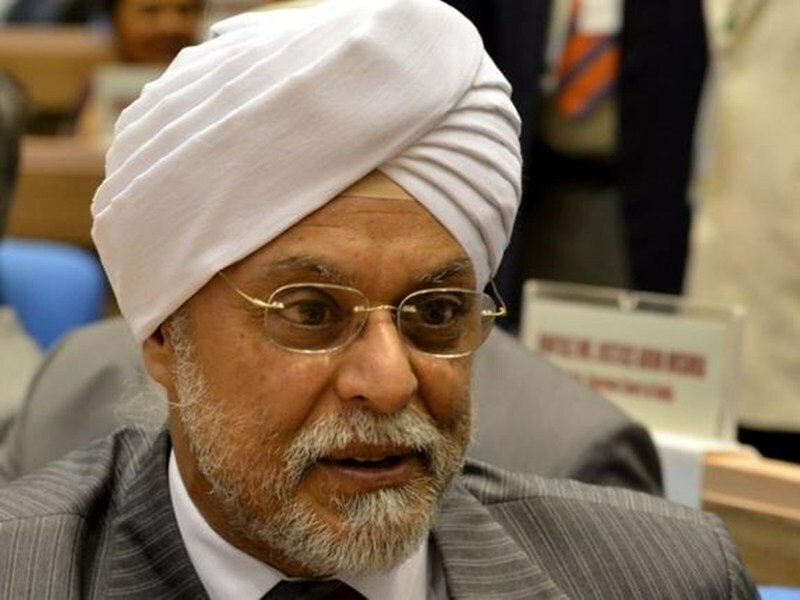 President Pranab Mukherjee cleared the appointment of Justice JS Khehar as the next Chief Justice of India, and the first from Sikh community. Justice Khehar will be sworn in as the 44th CJI on January 4, 2017. He will have a short tenure of about seven months until August 28, 2017, following which he will retire. A special 90-minute break from 12:30 PM till 2:00 PM will be given to government employees belonging to the Muslim community in Uttarakhand for Friday prayers, reports said. The decision was taken at a Cabinet meeting, chaired by CM Harish Rawat. An NIA court awarded death sentence to five Indian Mujahideen terrorists, including Yasin Bhatkal, for their involvement in the 2013 twin blasts in Hyderabad, wherein 18 people were killed. The terrorists Yasin Bhatkal, Zia-ur-Rehman, Asadullah Akhtar, Tahseen Akhtar and Ajaz Sheikh were convicted on December 13. The prime accused in the case, Riyaz Bhatkal, is still absconding. Actress Priyanka Chopra has been appointed Assam’s tourism brand ambassador for two years. The state’s Finance and Tourism Minister Himanta Biswa Sarma said. After claiming his second Wimbledon title and maiden ATP World Tour Finals crown, Britain’s world number one Andy Murray won a record third BBC Sports Personality of the Year award. Murray previously won the award in 2013 and 2015 after his London 2012 Olympic gold and maiden Wimbledon title in 2015. India were crowned junior Hockey World champions after defeating Belgium 2-1 in the final in Lucknow. Gurjant Singh opened the scoring in the 8th minute while Simranjeet Singh added another in the 22nd-minute. Fabrice Van Bockrijck scored Belgium’s solitary goal in the final minute. This is India’s second junior World Cup title after first winning it in 2001. Indian batsman Karun Nair became the first cricketer to hit a triple ton in his maiden Test series, after going past the landmark in the fifth Test against England. Nair became only the third Test player after West Indies legend Garry Sobers (365*) and Aussie Bob Simpson (311) to convert their maiden Test century into a triple century. 1. Which state government has decided to give a special 90 minute break from 12:30 PM till 2:00 PM to government employees belonging to the Muslim community? 2. The NIA Court awarded death sentence to five Indian Mujahideen terrorists, including Yasin Bhatkal, for their involvement in which terror attack? 3. Who has been appointed Assam's tourism brand ambassador? 4. Who has been crowned as the Miss World 2016? 5. Who has been awarded the BBC Sports Personality of the Year? 6. Name the first cricketer to hit a triple century in his maiden Test Series. 7. Which country was crowned the Junior Hockey World Champions?